On the Blog: Developing a risk-based, matrix approach to APS studies presented by Ben Frey, Senior Director Quality Systems. Your media fill studies do not closely simulate aseptic manufacturing operations incorporating, as appropriate, worst-case activities and challenging conditions. In manually intensive filling processes, a large number of media fill units, generally approaching the full production batch size, should be used. Worst-case conditions during the media fill were not documented, including cleanroom breaks, gowning/regowning, fatigue, etc. that would challenge aseptic operations. These observations have a similar theme that the design and performance of aseptic process simulation (APS) studies are not representative of the most challenging compounding operations with the worst-case conditions being considered. Since typical aseptic compounding operations within the 503B industry are manual and involve multiple formulations with different container/closure systems (e.g. syringes, vials, dropper bottles, etc. ), it is no wonder that justifying the most challenging operations are problematic. A matrix approach to APS studies can help to identify the most challenging compounding operations. The first step in developing an APS matrix is to identify the major product categories that are compounded within the pharmacy. These products can be categorized based on commonalities, such as container/closure system, method of sterilization, fill process, etc. 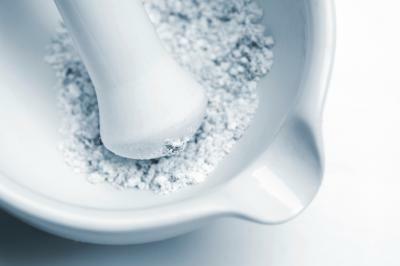 The goal is to assign all compounded products into as few categories as possible using sound scientific rationale. Maximum number of units that could be compounded/filled per product category. Maximum amount of time that an individual technician may spend on the compounding/filling operation for manual APS studies. Maximum number of personnel that may be involved in the compounding/filling operation. Size and type of container/closure system. Maximum number and type of manual manipulations that are typically performed during the operation. After the matrix variables have been defined, populate the matrix and identify worst case processes. Now that the worst-case processes have been defined with an APS matrix, it is possible to go even further to challenge the process by identifying potential interventions that could impact sterility. Because manual aseptic processing relies heavily on personnel interventions, these practices present a challenge to control and depend heavily on procedures, training and technique to manage the risk. Representative interventions should be challenged for each APS and include inherent and corrective human action, such as glove changes, making tubing connections, technician breaks, removing components from the direct compounding area, etc. After your risk-based APS program has been developed, the key is to document all the criteria and justification for worst-case conditions in a protocol or SOP. If the matrix determines more than one product or process to be of considerable challenge, a rotating semi-annual requalification schedule may be established. Just like “Big Pharma”, the APS at a 503B outsourcing pharmacy is an indicator of the overall sterility assurance program. It is possible to consolidate the myriad of compounded products and develop a risk-based, matrix program to identify potential weaknesses that may contribute to contamination of the compounded products.